Welcome! 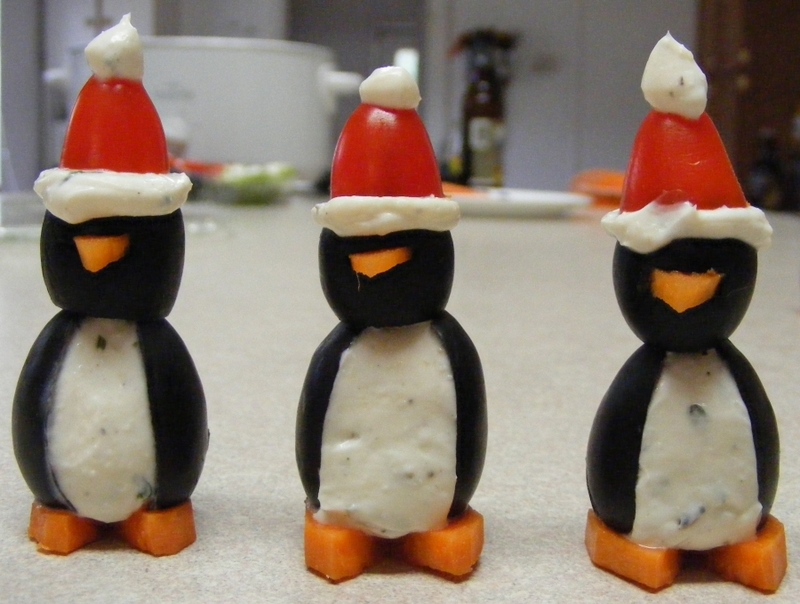 I’m crazy about making cream cheese penguins and I hope you will be, too. They can be dressed up to match most any special occasion or holiday. To make them, follow the recipe and then decorate. Our Featured Penguins – Crazy Hat Party!! Each penguin got its own unique hat. love your christmas penquins! making basic penquins for a cast party – making some AT the party, so people can get in on the fun! These are just as delicious as they are fabulous! I saw several recipes for these cute little penguins, and this recipe was the very best. I made them for a party at church and everyone loved them! I definitely will be making them for years to come. Thank you so much for sharing this wonderfully easy appetizer. Yay, Wendy! I’m very glad you like them.